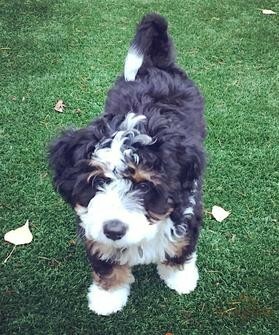 Specializing in Miniature, Micro-Mini and Australian Bernedoodles. Welcome to Alpine Bernedoodles, we are located in beautiful southwestern Colorado in the heart of the Rocky Mountains. I have been a Veterinary Technician for over 16 years and it is my passion to produce exceptional quality Bernedoodles. I am committed to breeding for excellent health, confirmation and sound temperament. 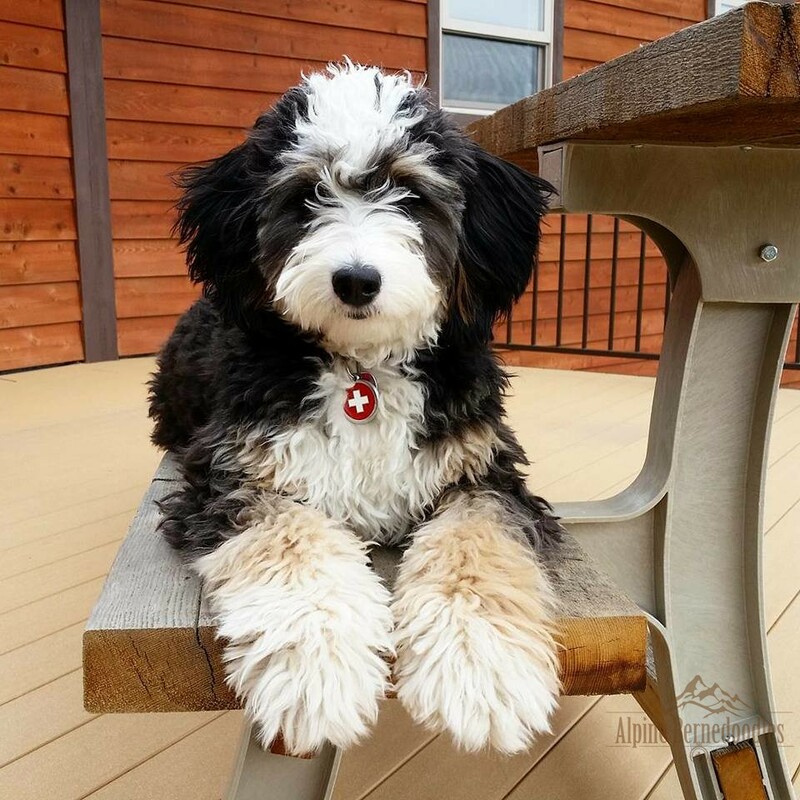 My bernedoodles are bred with responsibility and integrity to be cherished family companions. 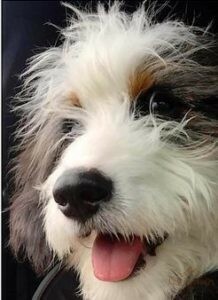 Every puppy is raised with attention to physical and mental health, and nurtured with love and care. 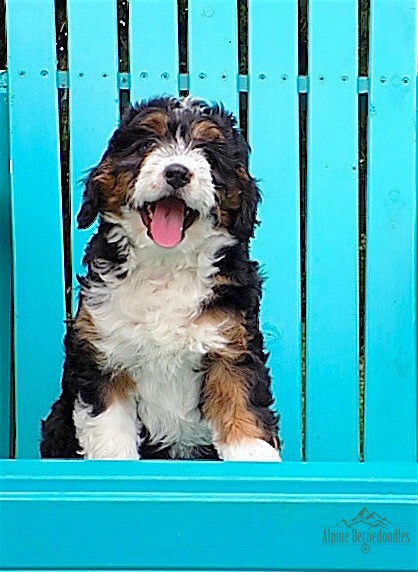 My emphasis is breeding Miniature, Micro-Mini/Tiny and Australian Bernedoodles. At Alpine Bernedoodles, we are breeding for health and temperament first, but we enjoy creating “one of a kind puppies” with various colors, sizes and traits. 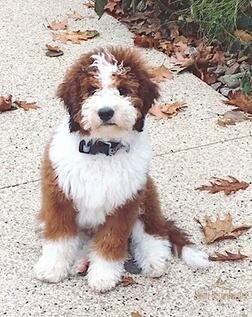 We cannot guarantee size or color but we will deliver a beautiful, happy healthy puppy. 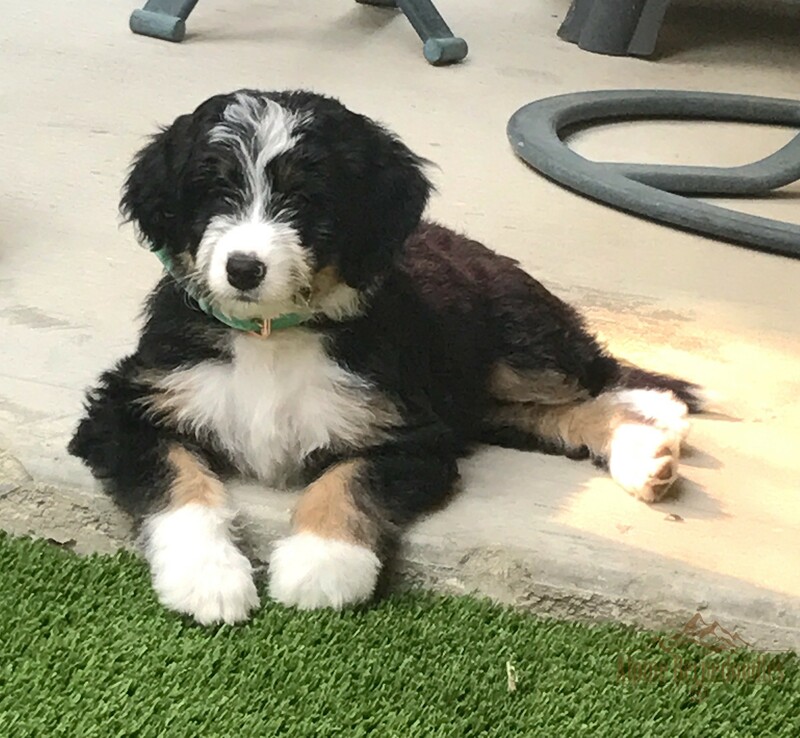 We are proud to be one of the few breeders creating the highly sought after miniature tri color, also know as the “Berner Look”. We are accepting applications for future litters. Please visit our Purchasing information page regarding our waitlist policies and application process. Now is a good time to start planning for your next best friend. 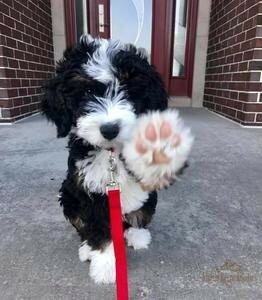 Cannot recommend Alpine Bernedoodles enough! 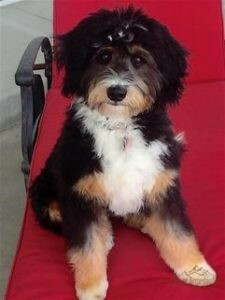 We are obsessed with our 5 month old mini “Emma” (Millie) from Shatzie /Ruger. 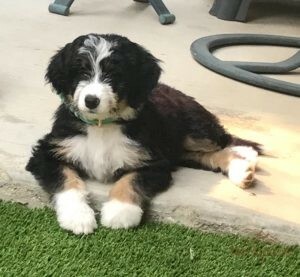 The berner look in mini non shedding form with the best personality / temperament I had to wait a few months to write a review to make sure it was not too good to be true! Our trainer at puppy class raves about how lucky we are to have such a smart trainable pup. The vet spends extra time cuddling with her because she’s so cute and fluffy. We can’t go anywhere without getting stopped repeatedly for people asking where we got her. 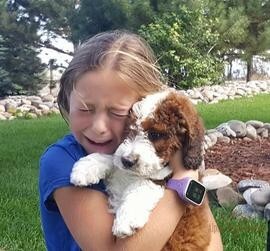 Our pup loves everyone she meets of all ages / creatures, is a great cuddle, and does well in whatever situation we throw her in. Kathryn was great throughout the process sharing pictures and providing information to help us pick our pup and made it so smooth in getting her. 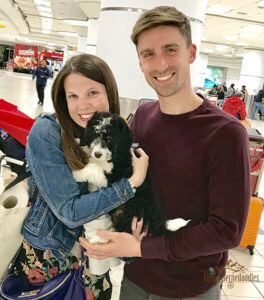 Today was a great day because we welcomed home our new puppy! She instantly lit up our home with joy! I can’t thank her breeder, Kathryn enough for raising up a truly incredible pup! We adore her! …All I can say is be ready to be wowed! They are amazing! We love our happy dog!! This puppy has changed our house. Less stress, more love. And I thought we were in pretty good shape before, so that says alot. Kathryn, it was lovely to meet you and your husband. I don’t think our puppy could have had a better first 8 weeks of his life from everything we experienced….you are a master at what you do. Thanks so much for everything! Welcome to our family, Archie (Nash)!! Thank you, Kathryn Hadfield for everything! 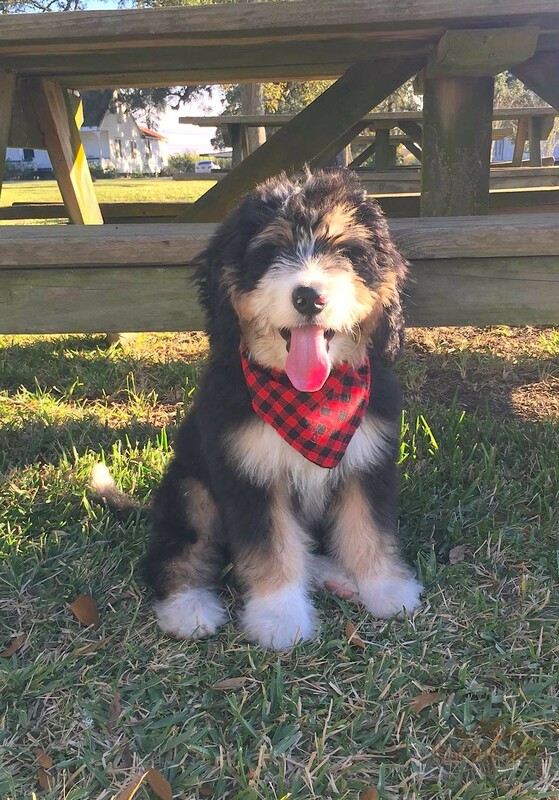 What a wonderful experience it has been finding you, Alpine Bernedoodles, and this perfect little guy! 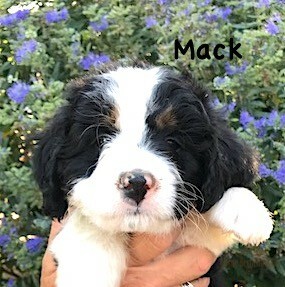 Colt (Mack) has been such a joy! 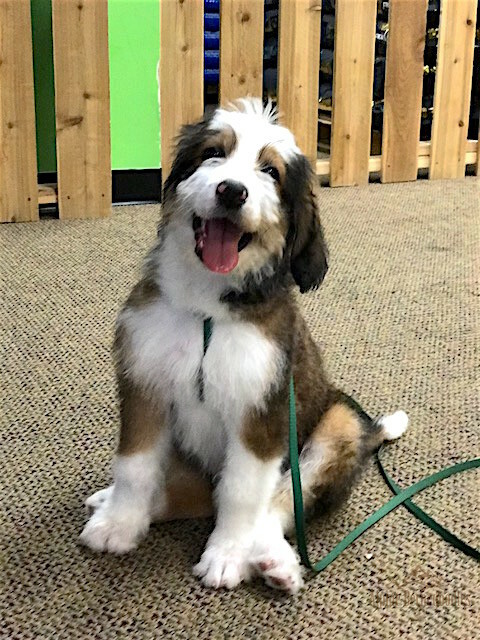 He is so sweet, happy, smart, and adorable! We are always asked about him when we are out in public and everyone always says how cute he is. 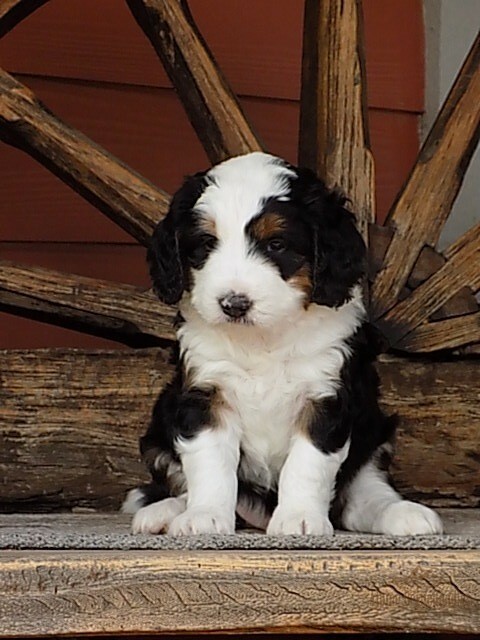 People actually think he is a Bernese puppy because of his markings. His coat gets more beautiful every day. It is shiny and wavy and has not faded a bit! It has gotten much thicker and fuller and is gorgeous. We love him so much and can’t thank you enough for making the perfect match with our family! 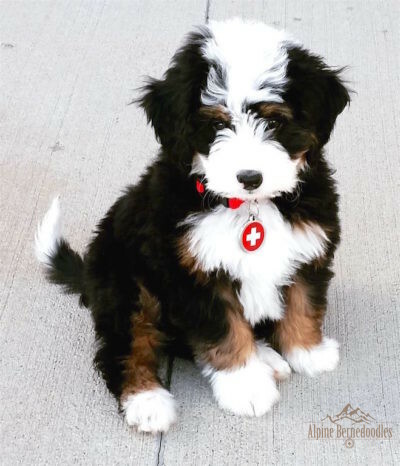 We had a fantastic experience with Alpine Bernedoodles, well worth waiting for the perfect dog for your family! 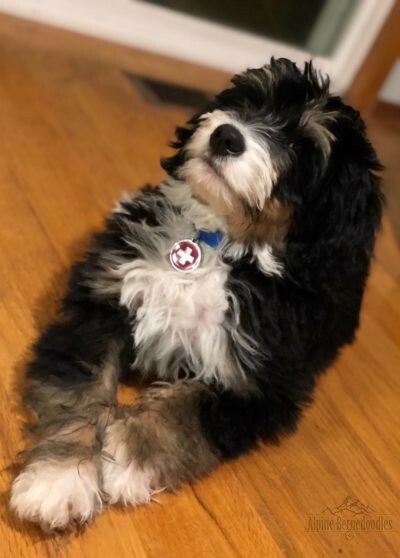 Finley has a hilarious personality and could not be smarter or more lovable. 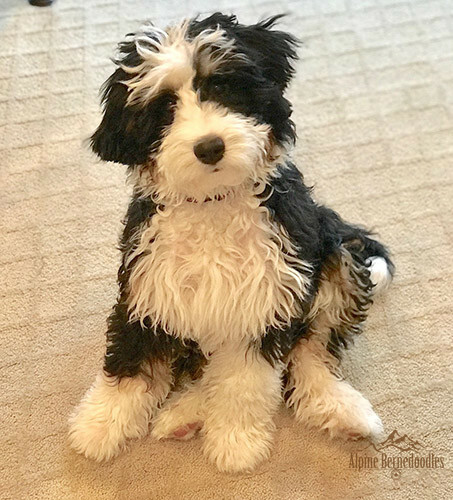 She was sleeping through the night after one week and we had her potty trained in two weeks using the bell method – they are SMART dogs. She is a favorite of everyone she meets and has not met a stranger yet. 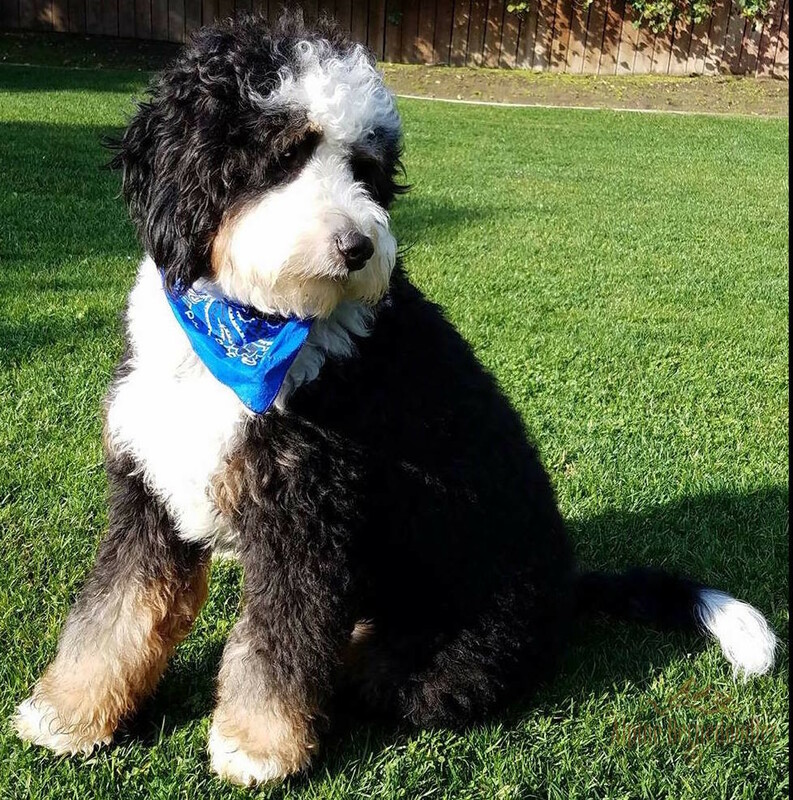 Alpine Bernedoodles has been there for us every step of the way if we have questions, and we love knowing there is a Facebook group for additional support if we need it. We could not be happier with our puppy and suggest Alpine Bernedoodles to everyone we meet! From the moment our puppy arrived we knew we had made the right choice with Alpine Bernedoodles. Kathryn’s dedication and expertise was evident during every stage of the process. Our little Scout (ULKA) brings us so much joy every day and we could not be happier with her! She arrived happy, beautifully cared for and well behaved. We absolutely adore her and we’re amazed with how easy her training has been. She has been pure sunshine to everyone we’ve introduced her to and even our vet remarked on her incredibly sweet disposition. We would highly recommend Alpine and Kathryn to everyone! Thank you for giving us our perfect Scout! 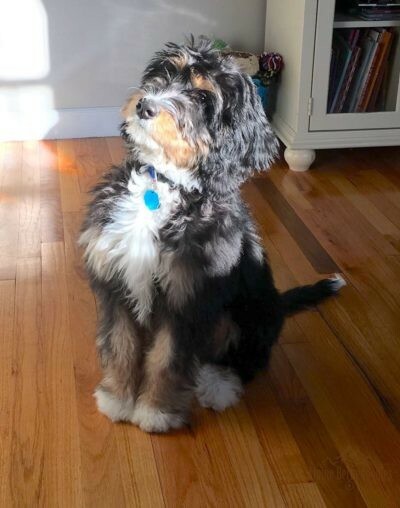 Sunny/Shelby is just such a beautiful, adorable, funny, fantastic muppet of a pup. She melts our hearts and makes us smile all the time. Her fabulous looks are only enhanced by her amazing personality. She is so sweet and very spunky and she literally stops traffic wherever we bring her. We just can’t thank you enough – you sure do know how to make great dogs! 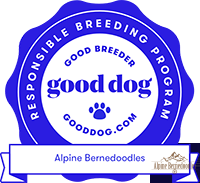 Very grateful for our wonderful experience with Kathryn and Alpine Bernedoodles. Timber (Ellie) is the best pup we could ever ask for. She loves cuddling on the couch, politely sitting at the kitchen table with us, and hiking all around Colorado while winning over the hearts of everyone she meets. 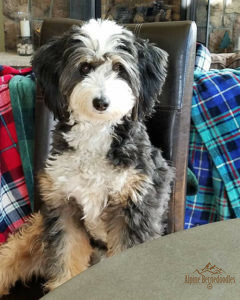 Timber has a beautiful, silky coat and a fluffy teddy bear face. She is like a person with how smart she is and how well she listens to us. We love her tri-color markings that are still there even as as she approaches 2 years old…and no shedding! She loves being with us, but is completely content when we leave for work and just naps on the couch with her toes in the air 🙂 We love our happy, goofy pup. 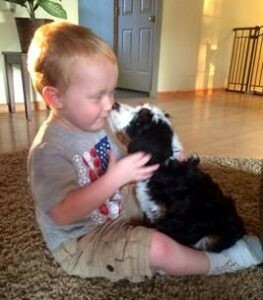 Thank you so much for our furry family member!